Today, Wisconsin residents with medical conditions that can be relieved or improved through the medicinal use of cannabis must still break the law if they choose to use this therapy. But there is hope. Rep. Gregg Underheim (R-Oshkosh), has reintroduced medical marijuana legislation in the 2005-2006 session, AB-740. Underheim earlier sponsored a bill in the 2003-2004 session. The 2003-2004 session bill was introduced too late in the session to move out of committee. Rep. Underheim, who chairs the Assembly Health Committee, attended the Third National Conference of Cannabis Therapeutics presented by Patients out of Time and the University of Virginia in Charlottesville Virginia, May 20-22, 2004. Watch this page for updates. February 23, 2004 Wisconsin Medical Marijuana Bill Introduced! The 2001-2002 session's bill, sponsored by Reps. Frank Boyle and Mark Pocan along with then-Rep. Rick Skindrud, died in Rep. Scott Suder's criminal justice committee. The bill. AB 715, was officially introduced January 14, 2002. You can read the bill history and download a PDF copy at: http://www.legis.state.wi.us/2001/data/AB715hst.html. The issue gained a lot of momentum and visibility thanks to the bill and the IMMLY poll that showed medical marijuana has very strong support statewide. Please contact your legislators and ask them to support Wisconsin medicinal marijuana legislation. On April 10, 2001, the State Affairs Committee of the Wisconsin Assembly, chaired by Rep. Rick Skindrud, (R-Mt. Horeb) held an informational hearing at the State Capitol, and heard testimony from Wisconsin patient Jacki Rickert, along with representatives of the State Medical Society, Wisconsin Nurses Association, the Dane County Sheriff and Rep. Frank Boyle. Currently, Rep. Skindrud is contemplating introducing legislation in the Assembly, as are Reps. Boyle and Pocan. Unfortunately, currently no state senators are willing to co-sponsor legislation, meaning it may not be introduced this session. After the Supreme Court ruling, at least three major state newspapers editorialized in favor of legal access to medicinal cannabis. Links to articles are below. The media and state and federal representatives now recognize that this is an issue, and it is now more important than ever for state residents to ask their elected representatives to not only support efforts at the state level, but also at the federal, where Barney Frank's States rights to medical marijuana bill has been introduced, with 15 co-sponsors as of June 5, 2001, including Rep. Tammy Baldwin (D-Madison), the only Wisconsin co-sponsor to date. Editorial: What's the court smoking? In June of 1999, the Wisconsin Public Health Association passed a resolution at their annual meetings endorsing prescriptive access to medicinal cannabis . The resolution, of which a draft copy can be found at the link below, concludes: "that greater harm is caused by the legal consequences of its prohibition than possible risks of medicinal use; THEREFORE, WPHA urges the Governor of Wisconsin and the Wisconsin Legislature to move expeditiously to make cannabis available as a legal medicine where shown to be safe and effective." And on October 29, 1999, the Wisconsin Nurse's Association adopted a similar measure, urging the Governor and the Legislature to "move expeditiously to make cannabis available as a legally prescribed medicine". A number of Wisconsin medicinal cannabis patients frustrated with the continuing prohibition of medicinal cannabis at the federal level joined hundreds of other patients from all 50 states in a class action lawsuit against the federal government that was filed in Philadelphia on July 3, 1998. The Action Class for Freedom of Therapeutic Cannabis suffered an unexpected blow when the judge handling the case reversed himself and granted the government's motion for a dismissal in a ruling dated December 1, 1999. Despite this setback, there were many victories for the side of compassion in 1999. In California, the U.S. Ninth Circuit Court of Appeals issued a ruling supporting the medical necessity defense for medical marijuana patients, although the Clinton Administration ultimately appealed this to the U.S. Supreme Court, which ruled against the OCBC on May 14, 2001. In November 1999, voters in the state of Maine passed a medicinal cannabis initiative by the margin of 61-39%. And in the Pacific Northwest, where medicinal marijuana won big in 1998, the states of Oregon and Washington are adjusting nicely to having this medicine legally accessible. In the late 1970's, Wisconsin and a number of other states took up the issue of medicinal cannabis. In 1979, two bills were introduced, AB 107 and AB 279. Both bills authorized the establishment of therapeutic programs to provide cannabis to patients. Both bills had hearings and made it to committee. On July 31, 1979, a hearing was held on AB 279 at the State Capitol, and the late Robert Randall, (who passed away June 2, 2001), testified in support of the bill. I recently located a copy of an article about the hearing, found at the link below. 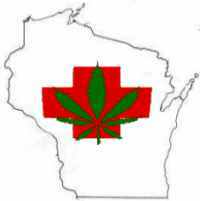 Wisconsin eventually passed a medicinal cannabis law in 1981, L.B. 697, which passed the Assembly 77-19 and the Senate 32-1. Gov. Lee Sherman Dreyfus signed the bill into law in April 1982, but it was written with the expectation that the federal government would soon reschedule marijuana from Schedule I to Schedule II or lower. As that still has not happened nearly 20 years later, the law does little to protect Wisconsin's medicinal cannabis patients. 961.34 Controlled substances therapeutic research. Upon the request of any practitioner, the controlled substances board shall aid the practitioner in applying for and processing an investigational drug permit for marijuana under 21 USC 355 (i). If the federal food and drug administration issues an investigational drug permit, the controlled substances board shall approve which pharmacies can distribute the marijuana to patients upon written prescription. Only pharmacies located within hospitals are eligible to receive the marijuana for distribution. The controlled substances board shall also approve which practitioners can write prescriptions for the marijuana. 961.34 - ANNOT. History: 1981 c. 193; 1983 a. 189 s. 329 (18); 1985 a. 146 s. 8; 1995 a. 448 ss. 16 to 19; Stats. 1995 s. 961.34. In September 1997, the Journey For Justice brought the issue to the state's heartland with a 210-mile wheelchair journey from Mondovi to Madison to kick off the introduction of AB 560. Despite this courageous trek by a number of severely afflicted patients, the Republican-controlled legislature did not even give the bill a hearing. INTENT: "[To] move THC from schedule I to schedule III ... [and] establish a medical necessity defense to THC-related prosecutions,"
DPFWI is hopeful that medicinal cannabis legislation will be introduced in the 2001-2002 legislative session. As of this writing, there are at least two bills being drafted for introduction in the new session that began in January of 2001, but neither has yet been formally introduced. It is imperative that legislators hear from constituents if the legislation is to be successful, so make sure your views are heard. Links to contact information including email addresses can be found here. Invite your Congressman to support HR 1344. Send a Letter To The Editor!